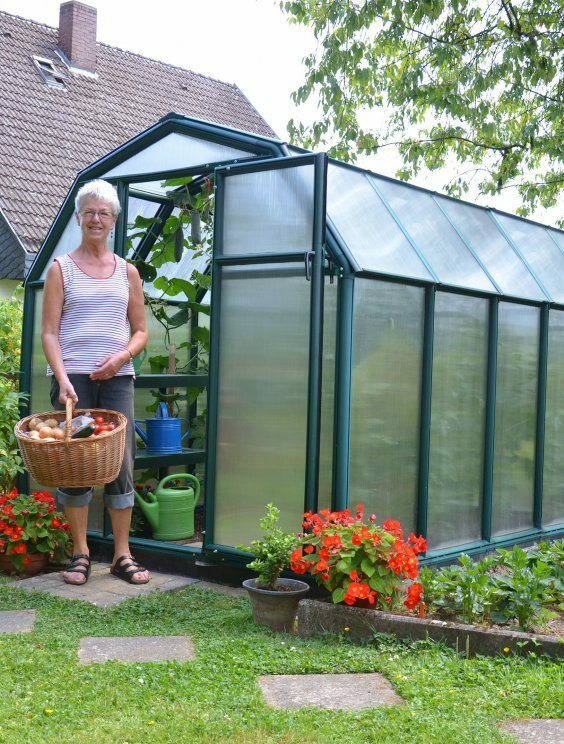 With its attractive barn-style design and compact size, the Ecogrow is well-suited to situations where space is limited, although it is easily extendable with the addition of extra centre modules. 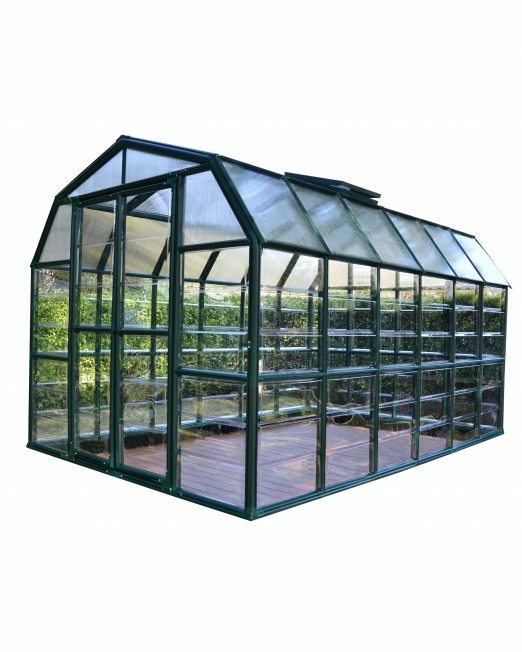 Made in Israel with a 10 year warranty, the greenhouses in this range are manufactured from extruded dark green UV stabilised resin with a twin wall polycarbonate glazing. Includes single door with latch and a roof vent. 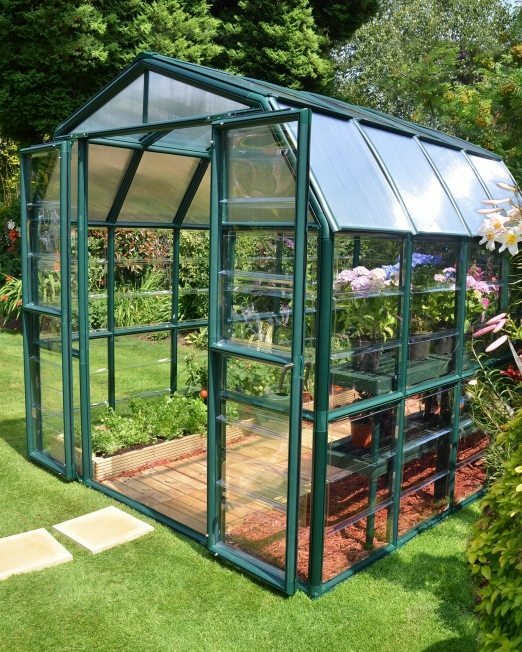 The Ecogrow AA56E greenhouse is ideal for growing healthy vegetables. 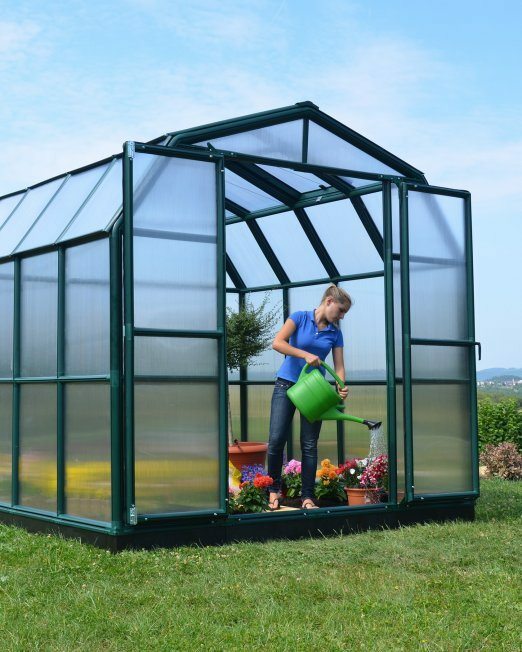 Its attractive barn-style design provide a modern and contemporary look for any garden. 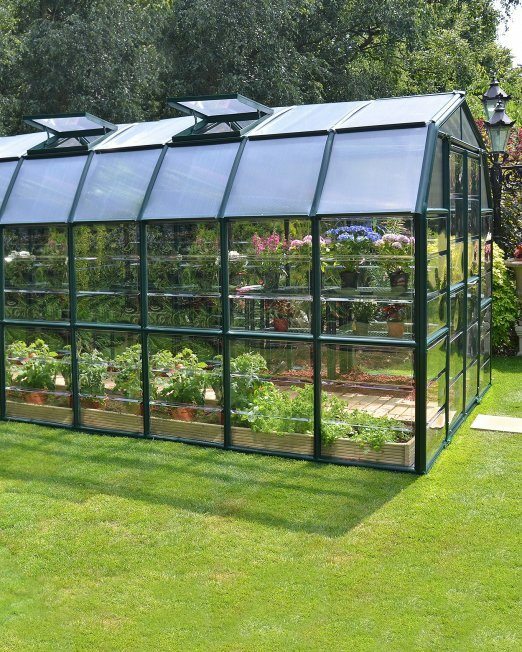 Its large size also means it is well-suited to situations where space is limited, although it is easily extendable with the addition of extra centre modules. 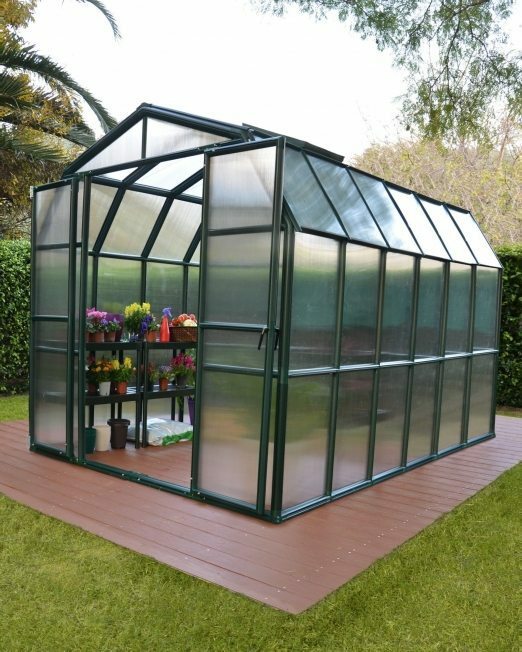 Our greenhouses are made in Israel and come with a 10 year warranty. 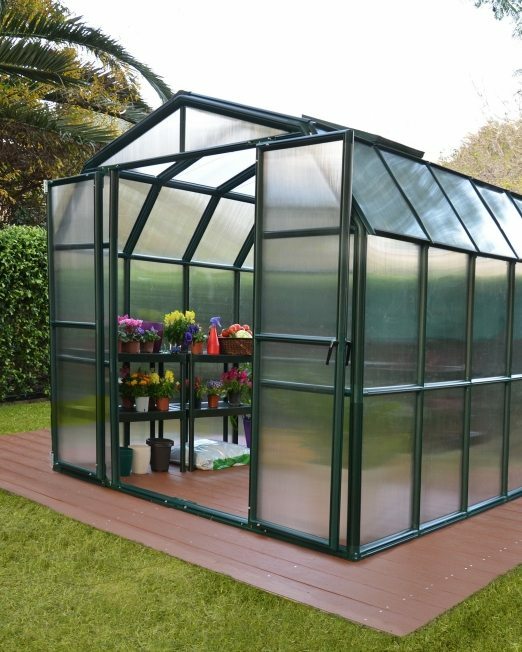 They are also manufactured from extruded dark green UV stabilised resin with a twin wall polycarbonate glazing. A single door with latch and a roof vent also come as standard, however, extra doors and vents can be added. 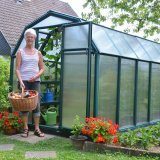 Add a shade cover kit to your greenhouse for extra protection for your garden. 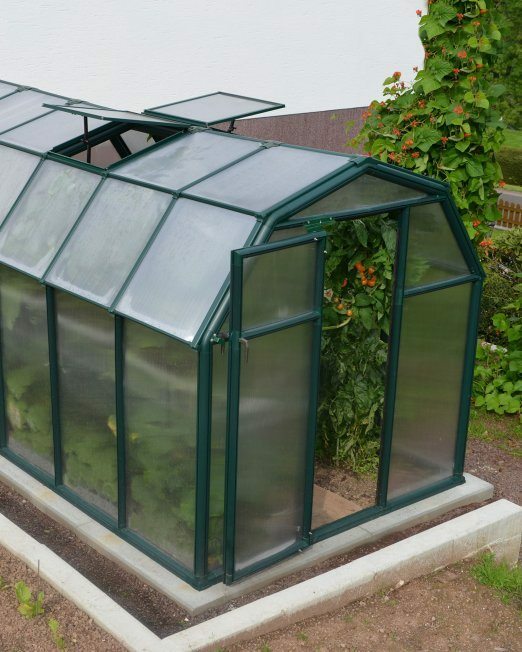 The AA56E comes standard with 1 roof vent. In hot summer areas we recommend ordering 6 extra vents for proper ventilation (7 vents in total). The AA56E does not come with any wall louvres. Add as required.